Surrey all-rounder Natalie Sciver has been ruled out of England's upcoming one-day internationals in South Africa because of an ankle injury. 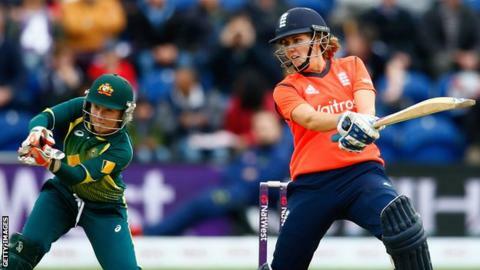 Kent batter Tammy Beaumont, who had originally been picked just for the subsequent Twenty20 internationals, will replace Sciver in the ODI squad. Sciver's rehabilitation will be monitored and she may be able to rejoin the squad for the T20 matches. The ODIs begin in Benoni on 7 February, with all games live on BBC radio.